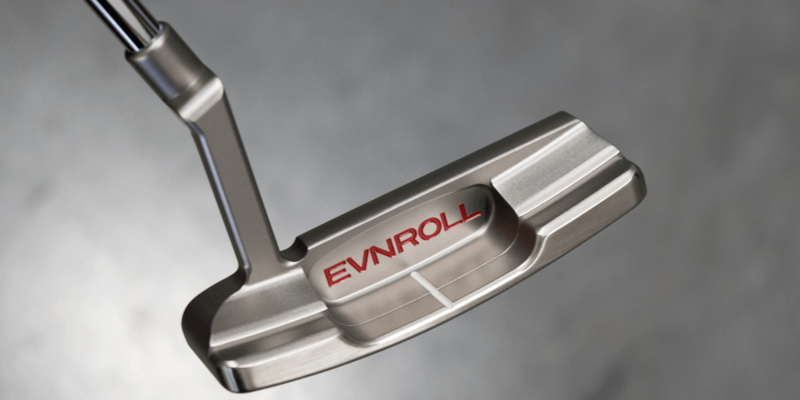 How else should one start a discussion about Evnroll putters? First, they unofficially smash the winners of the 2016 Most Wanted, and then they take both Most Wanted Blade and Most Wanted Mallet putter titles in 2017. Add to that the fact that Guerin Rife has already established a successful putter brand in the past, and you are left with a situation that screams SCOREBOARD! This is the time of year when a whole bunch of golf companies will be rolling out their latest, and supposedly greatest, golf products ever. The sheer volume of products being released makes it easy to become overwhelmed, and probably a bit skeptical too. 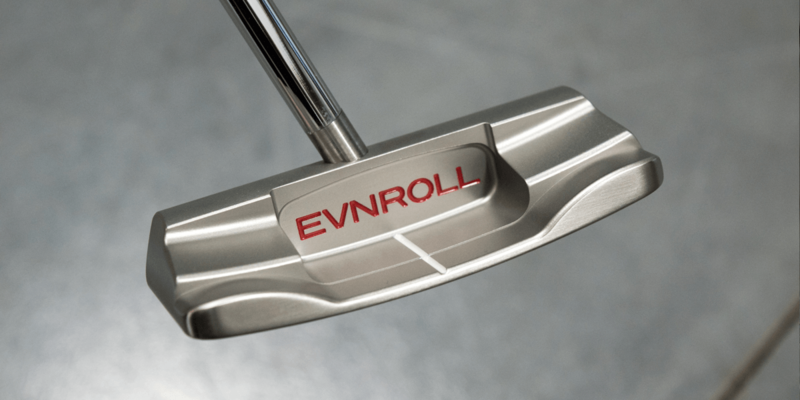 However, one should always pay attention to the new products when they come from proven equipment companies, and that’s why we need to spend a little time checking out the new Evnroll putters. 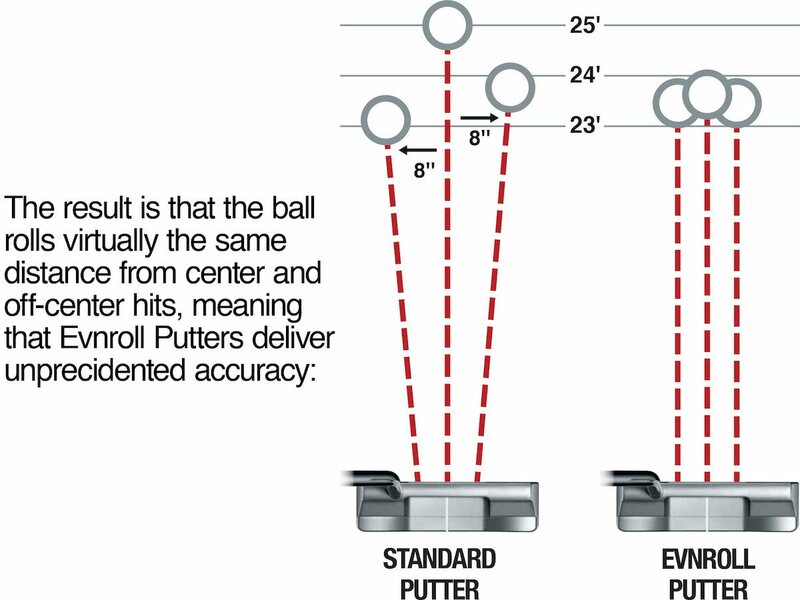 So why is the Evnroll putters more accurate than other putters? It’s the groove technology. And it works the same across the entire line-up. 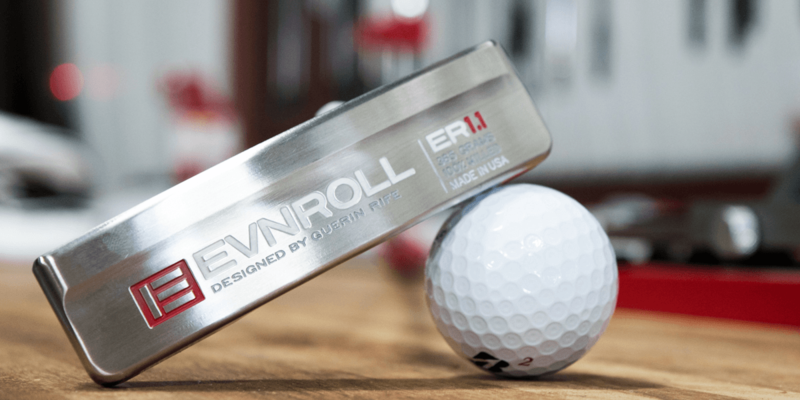 All new models feature Evnroll’s “Sweet Face Technology” that produces an even energy transfer across the hitting area and virtually no dispersion. Other companies out there promote groove technologies that correct for distance issues across the face, PING’s TR grooves being one example, but the Sweet Face Technology takes that a star further. The thing about the Evnroll grooves is that while they definitely help correct for distance, they also correct for accuracy. Just look at the graphic above. The balls stay in line with the target, even if you strike the ball off center. That puts the ball closer to the hole. 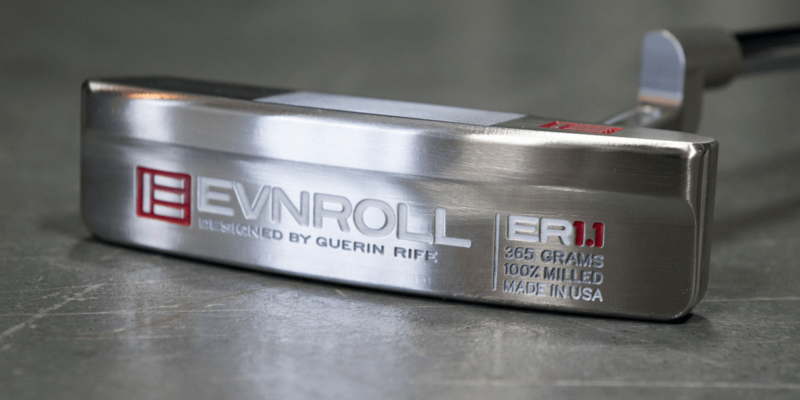 Be skeptical if you feel the need, but remember, the performance of the Evnroll putters has been demonstrated multiple time in the past here at MyGolfSpy and many other sites who have put them to the test as well. The data suggests that these putters hit the hole more often than all other competitors. 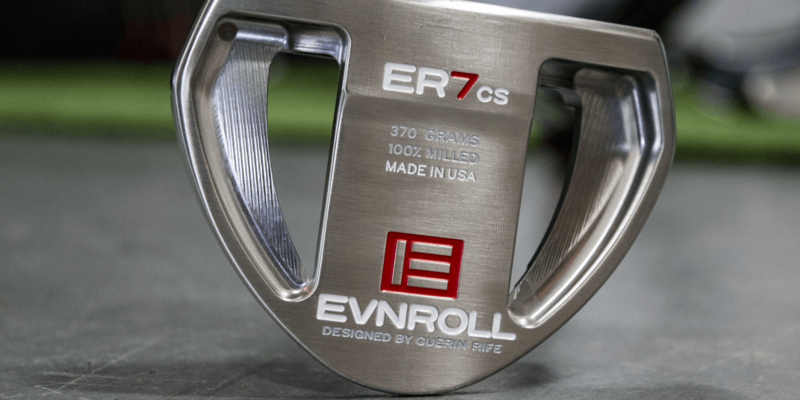 In 2018, the Evnroll putter armada expands by four models, bringing the grand total to twelve putter choices. 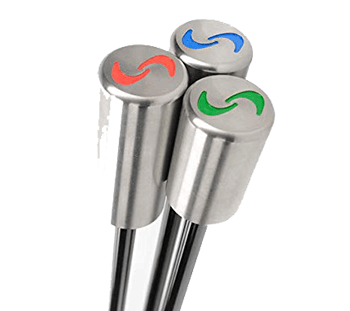 With all of these putter options, Evnroll is now able to match a model to just about any golfer’s stroke and preference. Mallet or blade. Here are some photos of the four new 2018 models, along with individual model descriptions from the man himself, Guerin Rife! ER1.1 Tour Blade – Old becomes new. The classic plumber-neck flange blade, originally invented by Karsten Solhiem 50 years ago, is a standard model for all putter companies. This is our version. Virtually every plumber-neck on the market has a 45 gram hosel on the heel side of the putter head. This moves the center of mass (aka sweet spot) toward the heel away from the center sight-line. The ER1.1 has a slightly smaller and thinner heel section and a channel in front of the hosel arm to balance the mass on either side of the center sight line keeping the sweet spot directly in the center. We have also eliminated the typical elbow below the hosel collar which creates a down-left visual angle to a golfer. By creating a straight cut at the base of the collar that matches the square side of the hosel arm. This forms a clean perpendicular line to the leading edge of the face for better alignment. Part of me feels that we could stop the discussion of the new models right here. The ER1.1 gives the Anser purist exactly what he or she is looking for aesthetically in a putter. Plus, this heel-toe weighted blade has the performance-enhancing Enroll grooves. I think that this one is going to sell like crazy. ER2cs – The original ER2 has been by far the most popular blade putter model and the Winner of MyGolfSpy’s “2017 Most Wanted Blade”. We’ve taken the ER2 and mounted a stainless steel hosel pin very slightly heel-ward from the center to give it a 5% toe down balance. While only about 5% of golfers prefer center-shafting, they are an adamant and persistent group (like the “Lefties”). To produce a center-shafted ER2 we had to thicken the cavity wall behind the hitting area to allow for sufficient width to receive a reverse thread hosel pin. This added 40 grams to the head weight. This extra steel needed to be removed in such a way to maintain the same center of mass and targeted swing weight. By drilling four 10 gram holes right behind the face in the heel and toe, we were able to strategically remove the 40 grams, giving the ER2cs same feel and stability of the original ER2 MidBlade. Center-shafted putters can be tough to find in the shop, a fact often bemoaned by those who like them. Take heart middle-shatters, two of the four new models are CS variants. What makes these extra interesting is that the two center shafted models were the Most Wanted winners in the heel-shafted configuration. So for those of you that prefer center shafted but want a proven performer, you now have an option. ER3 WingBlade – Sometimes you just have to hang it out there and mix it up. The original ER3 WingBlade was an untraditional design where form followed function. The outward heel and toe flare created increased stability and a different non-classic modern look. Demand has been less than expected so we kept the function and changed the form. The new ER3 WingBlade borrows its shape from the popular ER2 but with greater weight concentration toward the rearward heel and toe. The rear edge of the center cavity section has a cut-away shape in a forward-pointing “V” intersecting with the center sight line. This removes mass from the middle of the head allowing for more weight on the extreme heel and toe for increased stability. With the somewhat petite quantity of material removed, I can’t quite go as far as to call the ER3 a notchback. It’s more of a nibble out of the back side of the flange, and so I dub the ER3 The Nibbleback. What’s the purpose of the nibble you ask? Well, if you remove some material from the center, then the weight becomes more perimeter associated, potentially enhancing stability during the stroke. Some may also appreciate the nibble when aligning the putter at address. As far as this one being the ER3 “2.0”, I personally like the change to a more squared off ER2 profile. The squared off edges of the cavity will work great to frame the ball, putter, and target at address, something that was not as overtly easy with the old ER3 design. Kudos to Mr. Rife for being willing to try, test, and redesign when necessary. That’s exactly how the scientific method is supposed to work. ER7cs – This is a center-shafted version of MyGolfSpy’s “2017 Most Wanted Mallet”. Following the same production path as the as the ER2cs, we also thickened the cavity wall to allow for the hosel pin and removed mass from under the forward heel and toe to maintain the same feel and stability of the original ER7 Full Mallet. By choosing this year’s top-two MyGolfSpy Most Wanted blade and mallet putters we hope that those golfers demanding a center-shaft putter will find something to love in the new ER2cs and ER7cs models. The ER7CS is the other newly center-shafted putter, and as I said before, the heel-shafted version was the 2017 Most Wanted Mallet winner. Seems like there is a Lab X test in the making here. I once had a guy whose putter opinion I respect a ton tell me that all center-shafted putters are terrible designs. They twist too much during the stroke, are tougher to aim, and would never be as accurate as a heel-shafted model. It sounds like both of the new Evnroll models have had playability-focused design alterations beyond just moving the hosel. Maybe we are looking at the next generation of CS design. We know that the ER2 and ER7 hit the hole ridiculously well in the hands of our testers. Can these new center-shafted versions do the same, maybe even better than the original heel-shafted model? This warrants some research. Stay tuned. Will it be a bakers dozen? 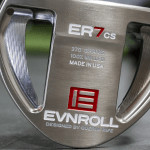 So there you have the four new Evnroll putter models. You’ve got a couple of new center-shafted options, a classic Anser head, and a new nibbleback. These, along with the other eight models, gives one a whole bunch of options. Rumor has it though, there is one more coming, and it’s a beast. The ER9 will be introduced simultaneously by MyGolfSpy and by Evnroll at the 2018 PGA Merchandise Show beginning on January 24. WHICH MODEL ARE YOU MOST INTERESTED IN? Anyone know why the 1.1 never went into production? Something wrong with it? Like the look of it the best. I got the ER3 soon after it first came out. My handicap is 1.8 lower. No other club has changed in my bag. I have 2.4 less putts per round on average. The only thing I had to get used to was I needed to hit my putte harder because of the grooves I guess. I think most of my putts gained have been because of holing out more putts over 10 feet. I just hit the 2 and the 5…REALLY nice soft feel but with a great roll!! I am convinced that the putter does what they say, however for me my stroke isn’t consistent enough to benefit me. i will pay attention this spring and if i feel i am short on putts because of heel or toe misses v just too much or too little oomph i will drop the 4 bills as i liked the putter a lot!! I would love to get an ER2 with toe up balance. My custom putter has been in play for 14 years and it is toe up and i can’t imaging a different feel. Where does one have to go to get one made for them? I own an ER2. Bought it sight unseen after the Most Wanted article. That said, the statement about the ER9 is strange. MGS, please answer these questions: Is there any financial arrangement between Evnroll and mygolfspy? 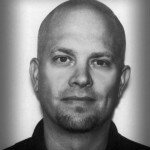 Is mygolfspy compensated in any way by Evnroll? Does mygolfspy have any sort of ownership piece of Evnroll? The statement from Evnroll that the ER9 is being introduced by MGS makes me think yes. Why would an independent review website be the only website introducing a new product? Why would Evnroll want it to be exclusive to MGS? 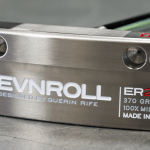 I’ve been a die-hard mygolfspy fan but with the Evnroll I’ve wondered the same. Would love to hear that it’s otherwise. The ER7Cs looks awesome. I have been gaming the Yes! Stacy-12 putter for a few years and love it. Just not sure that spending the extra $$$ would really bring down my number of 3 jacks per round. But I would like to give it a roll at the local golf store for curiosity. ER2 is the best putter I’ve ever owned by a wide margin. The groove technology really works!! I live in suburban Philadelphia (home to much good golf and many golfers) and was intrigued by your putters last year. Unfortunately, I found that the closest store to me that carried your putters was a PGA Superstore in North Jersey (almost 2 hours away). Is that still the case ? I am a Ping fan, thanks to MGS reviews, I used to play a Ketsch for many years. ! month ago I tried a SIgmaG SheaH it in a Ping demo day at my club and I felt in love. I am following the ER story from the beginning and I would appreciate to see a contest between Ping SigmaG vs ER which, I understood, from you, are the only one that have applied similar technologies for distance control. Results have been mixed with my ER2, but in the last two scrambles I became a putting fiend with it. My knowledgeable friends love the balance and feel, and my distance control has improved considerably. Can’t wait to see the test results with the CS model ER2. Oh my God- that ER7CS!! Gonna have to save my pennies! 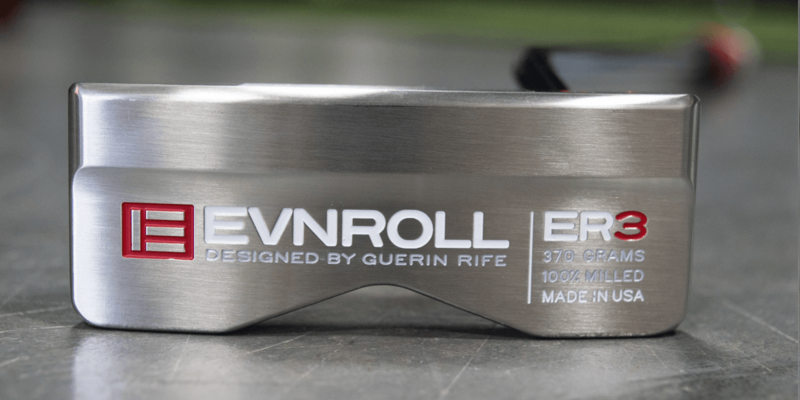 I’m thrilled to see the new center-shafted models from Evnroll. The ER7CS reminds me of my old Rife Barbados. I’m still happy with my Ping Scottsdale TR Piper C, but look forward to taking a closer look at the ER2CS. I’m with you Decon. I think Dave’s friends comments about center shafted putters are way off base because I have always preferred center shafted putters and currently play a counterbalanced SeeMore Nashville MFGP. 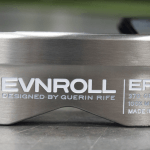 I am definitely looking forward to being able to test these new center shafted offerings from EvnRoll. Hopefully I will find one that suits me. Glad to see the center shaft mallet. Would like to try it. I’d love to see a head to head test versus a Ping Anser with TR grooves. Been playing some version of that putter or a Newport 2 for a looong time. Putt lights out with the Anser TR but I’d be willing to swap her out if the Evnroll out performs her! Looks like I’m selling my er1 for an er1.1!!! 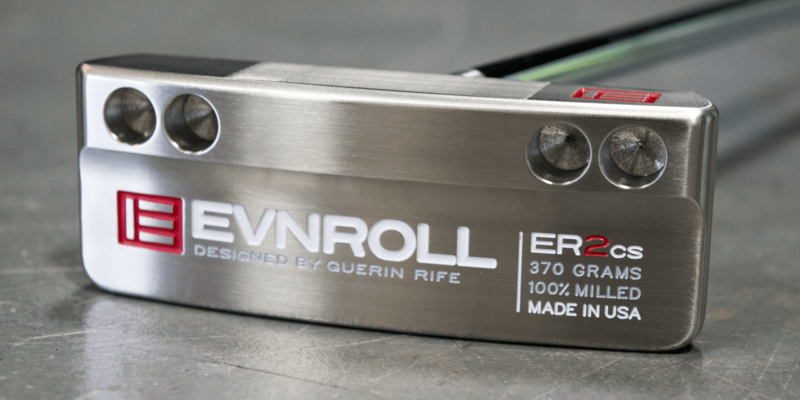 Does Evnroll make any left-handed putters? Previously, I believe they did not support us southpaws. the ER2, ER5, ER6-Black and ER7 are available for lefties. They do! I have the ER2 as a lefty and it’s amazing. Awesome feel and a super consistent roll. The grooves work. The company’s customer service was great and they had my putter to me quicker than I would have thought possible. Did you demo the ER2 before you purchased or ordered directly from the web site. I have trouble finding any LH Evnroll in my area. I have a old Rife putter that I really like and I would be very interested to try out his new putters. They caught mt eye when they first came out but no one in Kansas City has any in stock. I hope that changes this year. Tom, I know what you mean. Been looking all over KC and OP with no luck. Really like the ER2 but also the new mallets. Looking-forward to the ER9 announcement! I’m happy they are making a CS no offset model for us left eye dominant right handers. However, I actually want my puttee to be dead on the toe. On steep slopes on fast greens, I use the toe hit to deaden the hit, works like a charm. I first heard it from Fuzzy. Also if you like CS no offset try Bell putters. He does a great job. Guess I will have to go an roll a few with this putter. I remember it doing so well in the MSG tests. Right now I game a 15 year old Boccieri Heavy Putter. I get that a standard “light weight” putter can be inconsistent across the club face. I think the weight of the putter I play greatly reduces the inconsistency of an other than perfect strike. But to be fair I guess I gotta check this out. Glad to see this info. When will these new models be available to order? Would love to see a Del Mar /#9 from them. 3rd… The old Rife line made a wonderful one with the Abaca. Is the ER3 no offset? I asked about a few putters and believe they told me the ER 3 was 2/3 shaft offset. 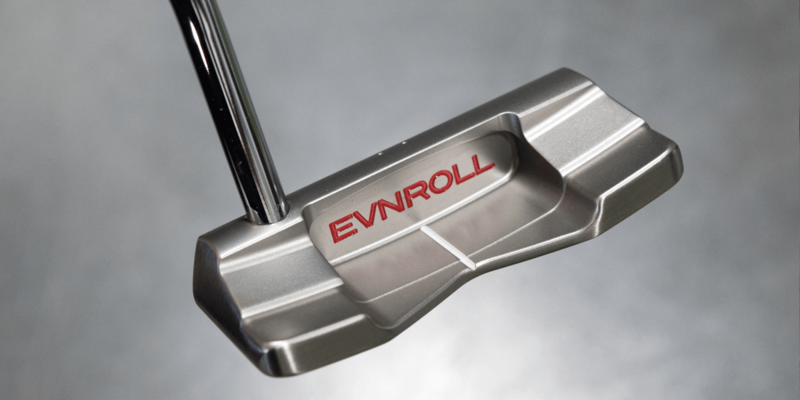 Not that it matters, but how many touring pros are using an Evnroll putter? Most tour players are required to play putters of their endorsement company. They are getting some play on the ladies tour cause there are not as many endorsement deals. I carry all the models at Corsi’s Indoor Golf in Greensburg Pa. We have had people from all over the country show up or call us at 724-850-2400 to buy EVNROLL PUTTERS. Feedback has been very positive. Last checked it is over 10 and growing weekly. Is the ER 1.1 the same same putter head size and weight? Exactly the same except for shaft? Playing my ER2 on both Bent and Bermuda. This time of year it really becomes important to have better speed control as the Bermuda is dormant and quick while the Bent has slowed a bit due to limited growth and longer mowing height. Best flat stick I have ever owned. Line looks great. All I can say is I made the switch last April and went from my custom squareback to a 34″ ER2 with a 385 gram head weight. Yeah… I like my putters heavy. I have a SS counterbalanced pistol grip on it as well. The numbers speak for themselves…. Play 50+ rounds a year, 9.4 handicap, and use The Grint to track stats. Now you may be thinking to yourself… “wow he only took 1.8 strokes off his game.” I was already a pretty good putter, but I can say that when you’re putting better, the rest of your game usually follows. I’m not gonna beat a dead horse and overwhelm you with information here, but the data speaks volumes about the technology in these putters. Give it a shot… it’s not just “another blade,” as a I see in the written in the comments. Those are the kind of stats that really mean something. If your ball striking stats remained the same then how much did your handicap drop? I like the ER2 and loved the ER1, now the ER1.1…decisions, decisions. Er2 black with plumbers neck would be ideal. Got my new ER8 mid mallet three weeks ago. I’m loving the feel and the distance control. I like that 1.1 but I saw a 1.2 for sale somewhere and I was really hoping that it would come to market. Intrigued by the technology. Not the most attractive to my eye, but doesn’t matter if I sink more putts. Price is high, but can you put a price on sinking more putts? Ping and a couple others have similar miss-hit correction. No Evenroll stores within 100 miles of me. Fitting is more important, so got fitted for new Ping. Didn’t care for the look of the Ping Sigma blade putter, but the ball kept going in the hole with it. Cut down putts a couple strokes per round since. Thanks for my new Ping putter. Use a Ping Karsten TR and ER1.1 has that appeal to me. I’ve been following MyGolfSpy review (and supporting them) on Evnroll and very much interested at the new putter. First they didn’t make left handed and about a year later they finally came up with some left handed models. I live in Cary, NC and the closest PGA Superstore is 4 hours away and I called them the other day but none of their store carries any left handed Evnroll model, very frustrated. It is difficult to purchase a putter without any demo., not sure what to do. The new styles are nice, still want the ER7. Maybe the ER9 will change my mind?? Looking forward to see what it looks like! 365 grams is a bit heavy for a answer 2? It certainly is for me. I prefer something in the 340g to 350g range. I had my hopes up when I saw the new Anser 2 style too. 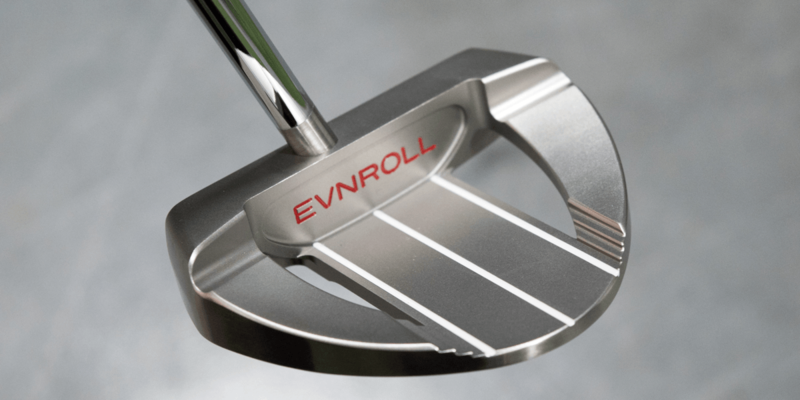 I tried the Evnroll putters last year and didn’t like any of the head styles. I didn’t really care for the feel of the putter either but that may have been due to the crappy balls they had on their putting green at PGA Superstore. Guys I bought the #5 model this year, I was so intrigued by this Evnroll model and I strong belive in MGS. Before Evnroll I was playing Odyssey #7 ( I’ve got 3 different editions). Is there someone else with the same exeperience? Yes I had the same experience with ER-5 370 grams…seems heavy and just not making putts…went back to my ping Ketsch 355 grams and they started going in..
Any armlock models in the pipeline? Love these putters and am considering #7, the only thing is it sounds a little tingy, not as soft as my older studio select. I would really like to try the ER3! EVNROLL had my curiosity, the ER1.1 now has my attention… ER9 should be the classic #9 midmallet, should it not? Love my ER2…..but what I would give to have a notchback shaped head with a flow neck design (in lefty of course). I cannot believe that no company offers such a thing! You should order it custom. I was looking for something very similar and went with Lamont Mann who built an amazing notchback lefty for me. Mark how did you get a black finished head and did you also get a black shaft? This putter is so Wow!! will love this color on the ER1.1!!! Like I stated above ,I won it in a contrst on mygolfspy. Its a one of a kind Tour model only. I asked Mr Rife how much it would cost me to come to his studio and be fitted and have this putter made and hr stated about $1,000. That ER3 looks great, any idea what the toe hang is? Website says 25*, which would be a little shy of 4:00 (3:50) toe hang. Is MGS gonna be sending out some of the new models for testing? I throw my hat into the ring for that one, most definitely. Are they being released after the PGA Show? Will that ER1.1 be available at 355g or anything closer to 350? 365g in an anser blade is nuts if you play at 35in. I dunno, I love my anser-style putter at 365g. Nuts for you perhaps, great for others. Depends on the grip weight and length obviously. I prefer Pingman style grips that weigh 58g… I think EVNROLL has a 65g pistol grip instead of the massive grip that comes stock. 355g, at 34.5 inches with a 65g grip should put me at my desired D9-E0 swingweight. Sorry Skip, but I would argue that 365g in that style head would be nuts for MOST. Glad you like it though. Just talked to the guys over at EVNROLL, the ER1.1 will come in a lighter version headweight as well! Yes please! I NEED the 1.1 blade putter in my arsenal. 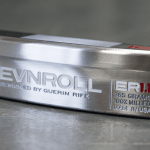 I have a few friends that swear by the Evnroll putters. I need to get on that bandwagon! I made a lot of puts with my ER8 this year, so I’ll stick with it. But the 1.1 and 3 look interesting. Interested in trying the center shafted blade. Depending on the head weight this may be an excellent option for me. The 1.1 looks really good too though. I’ve been using an OLD Scottsdale Anser so we’ll see if one of these options will work for me. Love the looks of the new ER3. Its like the 2 and 3 had a baby. Nice! Will any of these (specifically the ER1.1) be available in LEFTY? If there was one thing I’d change about my ER2 was make it center shafted. And now they’ve done it. Do I buy another one just for that…..? You gotta luv technology and ya can`t argue with the data. Me thinks its time to retire my ole Anser and take a serious look at Evnroll. Totally agree Dave, gold should be fun. Thx much MGS. …despite I already have 4 different putters, that work very well. When will the new models be available for purchase? Where can we demo these putters? Would love to be fit for one, but since there are so many models I have no idea where to begin. I was able to try then at the PGA Superstore if you have one near you. I went with the ER7. It’s awesome. Unfortunately not, I’m in the Kansas City, MO area and there doesn’t seem to be a location near me. Looks like I’ll need to go on a road trip! Love the new center shafted model. We’re can I demo this putter???? I tried them all and Edel with a professional fitting and the ER5 was by far the best putter I have ever used for alignment, distance control and on suitable greens, amazing roll!! Great putters and I’d recommend them to anyone BUT always get fitted for eyeliner alignment etc. What do you mean eyeliner alignment? I totally agree about getting fit. I went to buy an er2 and after the fitting/alignment I walked out with an er6 black and I haven’t looked back. Great looking line, but I’m happy gaming my ER2. No need to change from a winner. Really liked how the ER5 performed for me, fiddled with the ER7 last year, but having it in Center Shaft will be very tempting this year. Until I see what the ER9 is all about. Fortunately I’ll be at the Show and get to see it in person.